Call for applications for the 2nd edition of the Inner City Enterprise Social Enterprise Grant Scheme. 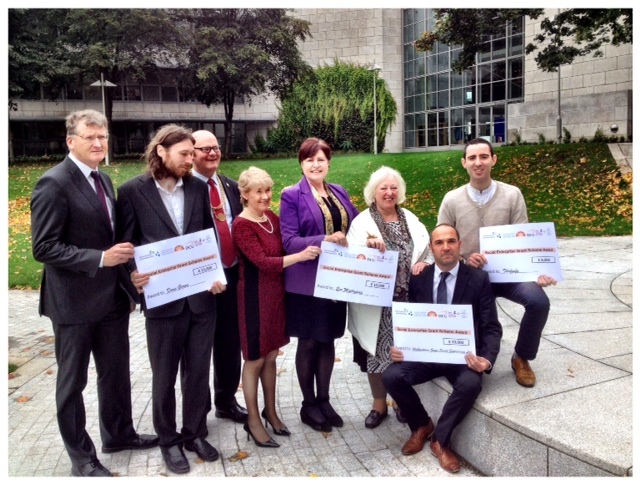 Decisions will be recorded and a report made to the overseeing Social Enterprise Grant Scheme Committee. A number of shortlisted candidates will be invited to present their project/ social enterprise to the Social Enterprise Grant Committee. This will involve a 5 minute presentation and a 10 minute question and answer session. The Social Enterprise Grant Committee will then decide on the successful grant awardees. Applicants must email a completed application to Innercityenter@gmail.com or forward by post, a hard copy of the application to Inner City Enterprise, Unit G10 Spade Enterprise Centre, North King Street, Dublin 7. A Letter of offer will be issued to successful candidates and this will include terms and conditions of draw down of the grant funds. All applicants will be eligible for group mentoring sessions, hosted by the Dublin Local Enterprise Office, on marketing and finance. These workshops will be run between May and June 2016. The closing date for applications is 22th April 2016. Inner City Enterprise reserves the right to extend this deadline.